THEN Josette &amp; Tic reduce his environmental impact and more. Josette & Tic is a socks company. Josette & Tic is the story of Adrien who wanted to laugh feet while helping underprivileged children to go to school! Come quickly discover the many beautiful Josettes. They already embrace cutting edge sustainability practices, but they want to push their limits, and go beyond what any other socks company is doing. 500 pairs sold: Website translations in Breton, English and Spanish! 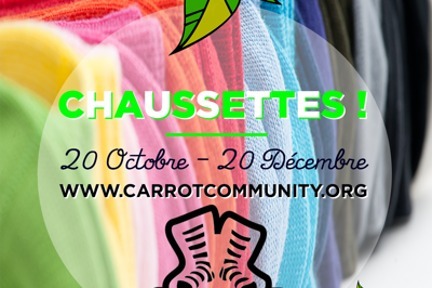 5000: Creation of a range of organic cotton socks (including a Carrotmob serie)!